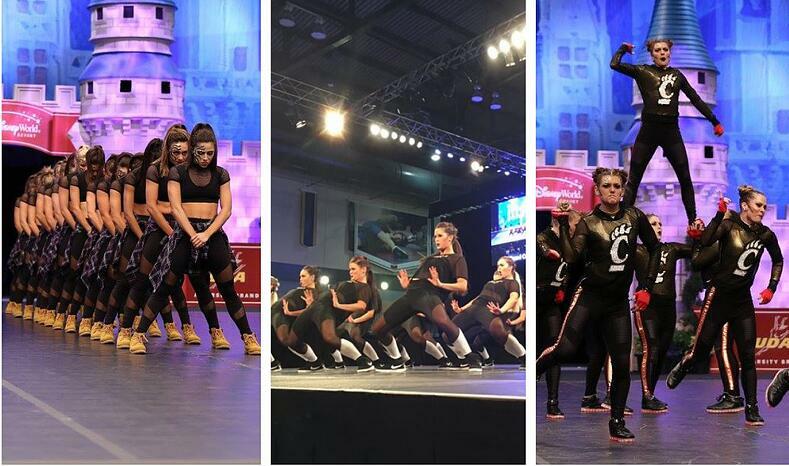 If you're a member of the dance community, we have a feeling you (like us!) 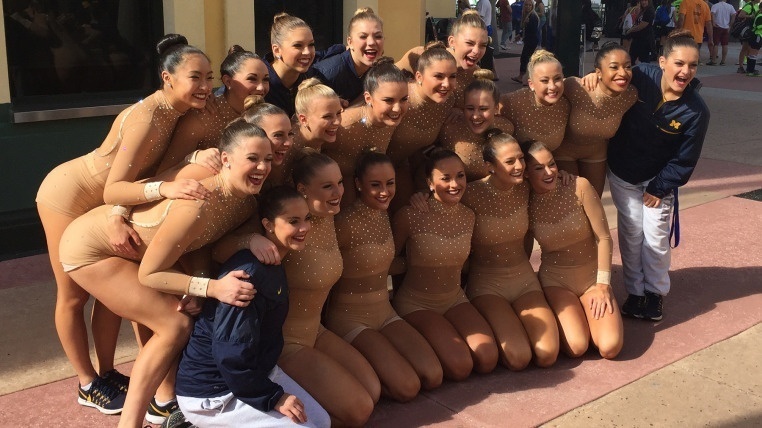 were live streaming UDA College Nationals this weekend! We were blown away by all the incredible talent - technique, skills, precision, and costume design get more and more impressive every year!! 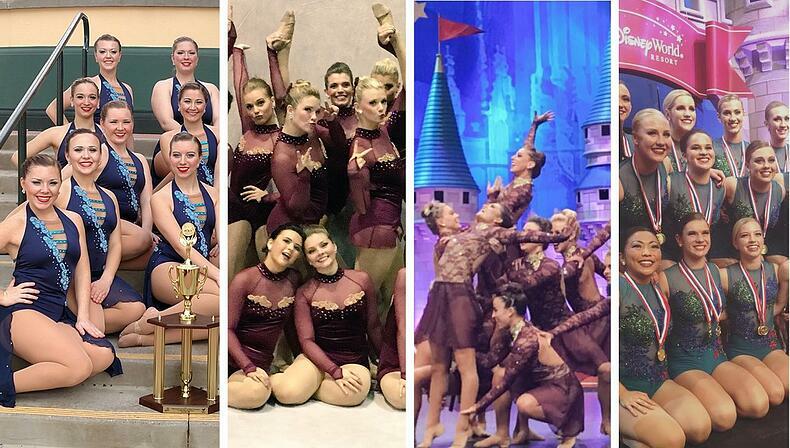 UDA College Nationals are always a source of inspiration for choreography and costumes, and we find the trends for high school dance line usually start here! While we watched, we made note of a few repeating themes in regards to costume design. We can't take credit for all of these costumes and trends, but here are a few of our favorites!! The romantic look is still going strong. A few essential ingredients spotted in every division include: appliques, jewel tones, open backs, and open front skirts. 2017 Nationals was the year of MESH: mesh cutouts in leggings and mesh crop tops over bra tops. This adds some great dimension and texture to a costume, along with some edginess and sass. Will pants be the next trend in this category?! Adding leggings makes your lines look long and continuous. Also, the open back is not just for jazz costumes anymore! 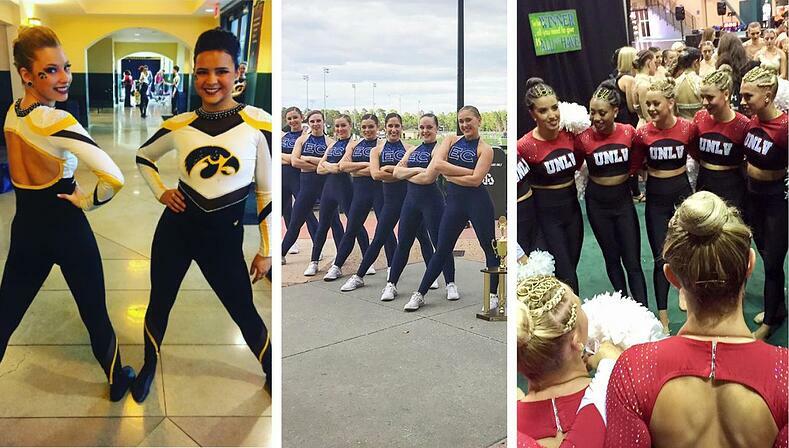 We saw many teams incorporate a low, open back into their pom dresses and outfits this year. Looking for more costume trends? Check out our Ultimate Trends Guide for 2017 Dance!